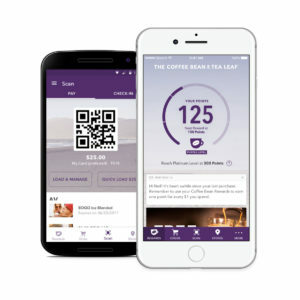 The Coffee Bean & Tea Leaf, one of the world’s leading roaster and retailers of specialty coffee and tea, today announced that it has launched mobile ordering within The Coffee Bean Rewards app. The feature is available now at all 191 Southern California and Arizona company-owned locations and will extend to franchise locations and new geographic areas in the coming year. Mobile Ordering allows guests to order ahead and Skip the Line for fast and convenient service. Customers who use this feature will receive unique discounts and earn points towards rewards. There are many ways guests can earn and redeem free drinks, including special offers and when referring friends. The app is integrated with Uber, allowing guests to get to The Coffee Bean & Tea Leaf store with the tap of a button inside the app. To get started, customers download The Coffee Bean Rewards app, create an account with their preferred payment method, choose store location and place an order. Guests can browse drinks, easily customise products with just a few taps and save favourite items to easily re-order. The Coffee Bean Rewards app can be downloaded for free from the App Store or Google Play.